Elvis Costello & The Imposters will team up with New Wave-era contemporaries Blondie for a 13-date co-headlining tour this summer that opens July 20 in Bethel, N.Y., and focuses largely on the east and west coasts, wrapping up Aug. 10 in Seattle. 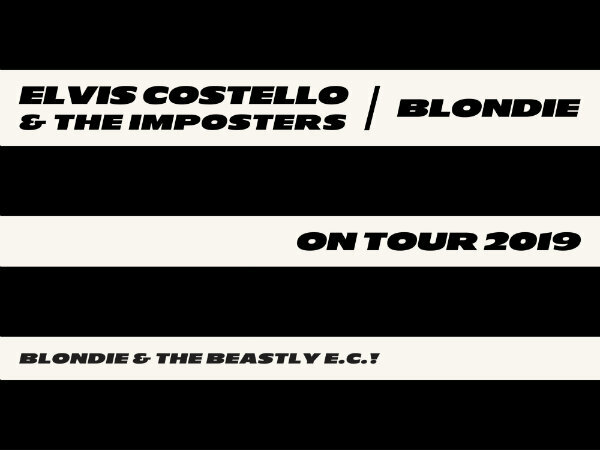 Tickets for the tour go on sale this week; check out elviscostello.com and blondie.net for full details. Costello and the Imposters released a new studio album, Look Now, last year following the singer’s cancer scare. Blondie last released a new album, Pollinator, in 2017, and is due to receive an archival box set later this year from reissue specialists Numero Group. See their full tour dates below. July 26: The Anthem, Washington D.C.
Why no shows in the Midwest?? Here’s hoping that this is a sign that Mr. Costello is doing much better after his recent health scare. Three week tour is short.